Safari is the most popular web browser for iPhone users. 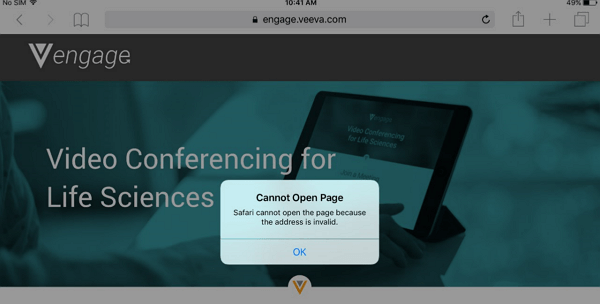 At some point, you may have encountered an error that indicates Safari cannot open the web page you intended to open because the web address is not valid. This is an annoying situation since the pop up containing this error message does not go away. Everyone would like to know whether there is a way to solve the “Safari cannot open the page on iPhone” problem. Solutions are available. In this article, we will be providing these solutions. However, before we can provide the solutions, let’s find out why the error occurs. Part 1: Why do We Have This "Safari cannot Open the Page" Error on iPhone/iPad/Mac? There are two different errors which look almost the same which can prevent Safari from opening a page. One of these errors is genuine while the other one is not genuine. In this article, we will be focusing on the genuine error. However, we will also provide an insight on the ingenuine error. If the error is showing up on your iPhone Safari browser as a website pop-up, your device may be targeted by a financial scam. The major goal of this error is to trick you so that the scammers can get a chance to access your financial information and your money. The scam pop-up containing the “cannot open page” message is created in such a way that it looks official. Depending on where your IP address is located at the time, this message may use a different language and text. The pop up may try to make you think you have done something very illegal online and even try to force you to pay a fine. Don’t pay anything. Instead, take your iPhone to an expert so that the virus can get removed. You should do this as quickly as possible. Accessing your Safari browser will be impossible if the virus is still on your device. The genuine error will only display the message indicating that opening a page is impossible because the web address is not valid. This is an error that can result from a possible bug in your device. Luckily, this error is fixable. Part 2: How to Fix "Safari cannot Open the Page because the Address Is Invalid" on iPhone/iPad? Step #1: Force restart your iPhone. To do this, you will need to hold down the “Wake/Sleep” button together with the “Home” button. Keep holding both buttons for about 10 to 15 seconds. You should let go when the Apple logo appears on your screen. Step #2: After the device restarts, locate Safari in Settings and tap on it. Step #3: Locate Cookies and Data and tap on it. Clear the Cookies and Data. Step #4: Restart your iPhone. To do this, hold down the “Wake/Sleep” button until a red slider shows. Slide the red slider to turn the device off. After the device is completely off, hold down the “Wake/Sleep” button for a second time until you see an Apple logo. Step #5: Try using Safari again. When trying to fix issues on your Safari browser, you may end up losing your history by mistake. Although it is possible to recover the history from iTunes, iTunes is slow. Also, you may not have backed up your iPhone on iTunes. This should not worry you though. There is a third-party tool you can rely on. The tool is known as iMyFone D-Back. You can recover deleted or lost safari history even if you don’t have a backup. 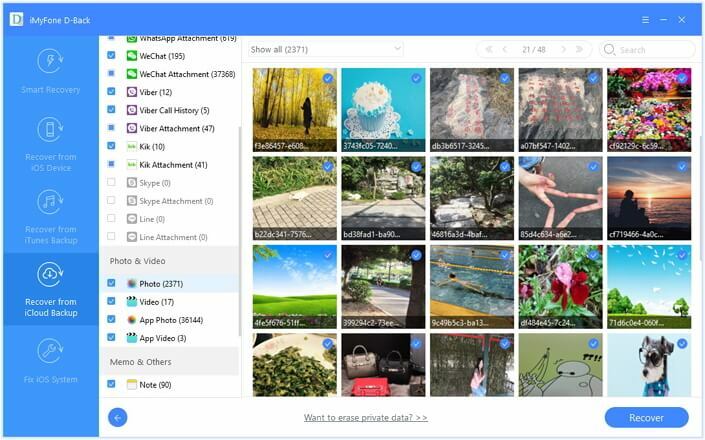 The tool can recover more than 22 file formats. 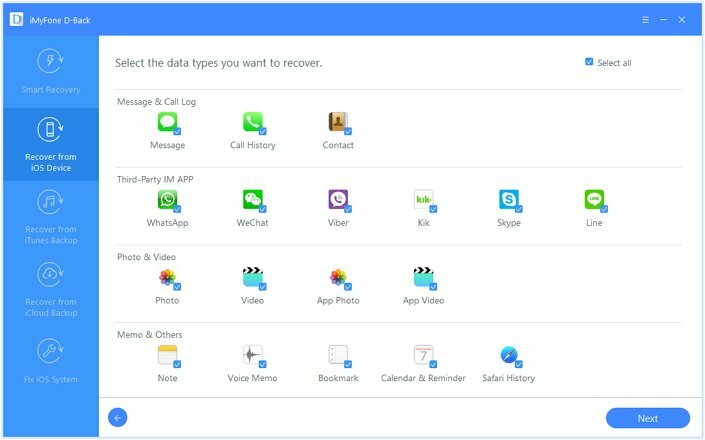 You can recover your data selectively since iMyFone D-Back has a preview function. The software is compatible with numerous iOS versions including iOS 11 which is the latest. Step #1: Open iMyFone D-Back and then select the “Recover from iOS Device” tab. Click “Start” and then select Safari. Step #2: Connect your iOS device to the computer running iMyFone D-Back. When the program detects your iOS device, you will need to click on scan. Scan time varies depending on how much space has been used on the iOS device. 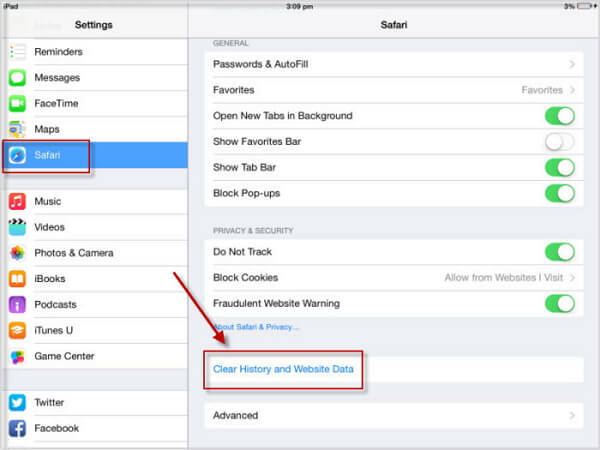 Step #3: Preview the Safari history or any other data and then recover what you want. After the scan, you will be able to see all the data you can recover. Select the important files and click “Recover”. The “Recover” button is available on the bottom-right of your screen. Your Safari history will get restored. Not being able to access the internet on your iPhone is annoying. The “Safari cannot open the page on iPhone” error is something most people who own iOS devices have come across at some point. The good news is that you can easily fix this error at home as long as it is not being caused by a virus installed on your device by scammers trying to steal your financial information. To fix this error, follow the steps we have outlined in this article. If you determine that the error is as a result of a virus, you will need to get the virus removed by a professional. While fixing your Safari issues, you may lose your history by mistake. However, this should not worry you. 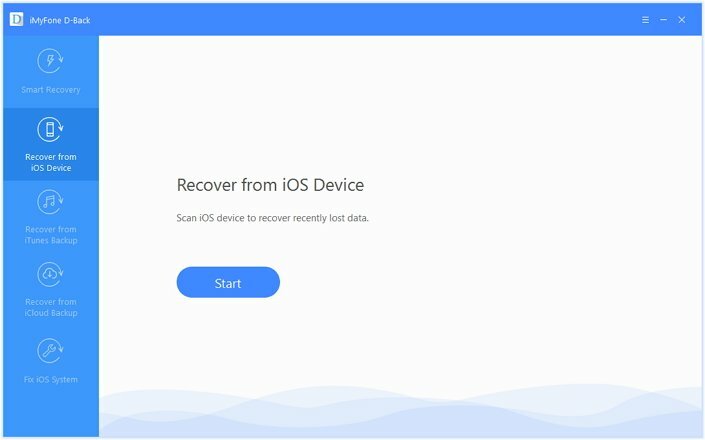 iMyFone D-Back is a third-party tool that allows iOS device users to restore their Safari history even if they don’t have a backup for it.